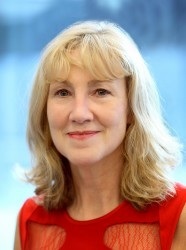 Dr. Kay Tait has worked in the UK pharmaceutical industry for approximately 15 years and currently works as a Transaction Director in AstraZeneca’s Business Development and... Operations team. Kay is involved in all aspects of transaction negotiation and execution across multiple therapy areas. Prior to that, Kay worked as a Business Development Director covering both search and evaluation, as well as transaction, for AstraZeneca’s Oncology business. Kay has a wealth of business development experience ranging from in and out-licensing, acquisition and partnering activities from early stage discovery through to on-market commercial opportunities. Before her business development career, Kay worked in R&D at AstraZeneca. She also holds a Ph.D. in molecular biology and a first class honours degree both from the University Manchester. Dan is a senior healthcare executive with 25 years international business development and commercial operations leadership experience in pharma, CRO, clinical diagnostics, biotech and life science... research. Since joining Alliance in 2006 Dan has led Alliance’s M&A and licensing activity, completing over 15 acquisition transactions and several other deals. Dan has worked in a variety of roles including senior management in the clinical research (CRO), biotech research and diagnostic sectors as well as in sales operations. Dan has worked in Canada, Germany and France and graduated from Brunel University in Applied Biochemistry. 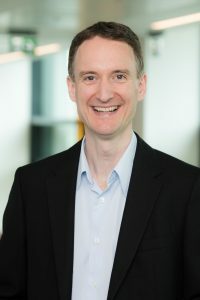 In 2011 Dan won the PLG/AstraZeneca BD Executive of the Year award. Ann has been in the pharmaceutical industry for over 20 years, initially in sales and marketing roles and then for the last 15 years in business... development roles. For the last 6 years she has been at Mundipharma International, where she is Head of Alliance Management in Europe. Prior to that she spent 6 years at a Cambridge Laboratories, a small, privately-owned, near-virtual pharma company where she was Head of International Business Development focused on outlicensing their key asset around the world. Ann started her pharmaceutical career at Bioglan Pharma plc, in the world of dermatology, where she progressed through the ranks to her first position in business development. Ann also speaks fluent German and near fluent French, having studied Modern Languages at Cambridge University, where she spent more time coxing than working! Tim Brady is Director of Business Development at Thornton & Ross, now part of the STADA group of companies. Tim joined the pharmaceutical industry in 1985... after finishing his degree in biological sciences at the University of Leicester. Tim’s career followed a classical route from medical sales representative to regional manager and national sales manager at companies such as Rhone Poulenc, Astra and Ashbourne Pharmaceuticals. In the early part of the 00’s Tim set up and managed new, UK affiliates for Meda Pharmaceuticals, Genopharm and Orphan Pharma International. More recently Tim has gained experience and insight in to the unlicensed medicines market, both in the UK and overseas, working for Special Products Limited in international business development. In his current role at Thornton & Ross he has already been involved in some significant in-licensing deals and acquisitions as Thornton & Ross expand their position in branded OTC medicines and specialty pharmaceuticals. Tim has also used his international sales experience to successful combine BD with leadership of Thornton & Ross’s international sales and export department, which supplies products to over 80 countries around the world. Sharon is the founder and CEO of Medius Associates and has worked in business development since joining the pharma industry in 1978. Sharon therefore has more... than 30 years experience in international pharmaceutical business development. Sharon’s previous industry experience includes senior business development appointments in the Wellcome Foundation Ltd (Wellcome Research and Wellcome Diagnostics); at Medeva plc and Ono Pharmaceutical Co. Ltd. In addition to her client work, Sharon is the Editor of the Business Development & Licensing Journal published by the Pharmaceutical Licensing Group and is also the Course Director for the MSc in Pharmaceutical Business Development and Licensing run by Manchester University. Sharon holds a BSc in Chemistry and Administration and studied for an MA in Business Law. Sharon has worked in a wide range of therapeutic fields including diabetes, oncology, respiratory, critical care, cardiovascular and diagnostics. She is a past President of the European Pharmaceutical Licensing Group Council and former Chairman of the UK Pharmaceutical Licensing Group. 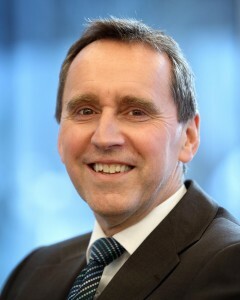 Cora is the Business Development Director for the Finnish Drug Delivery and Drug Development company DelSiTech Ltd. DelSiTech has a biodegradable and biocompatible, silica-based, sustained release... platform for the delivery of small molecules and biologics. The company is also developing a long acting hepatitis B (HBV) product. Cora is also an Associate Director of Trifermed. Trifermed provides business development support to the pharmaceutical, biotech and medical devices industries. 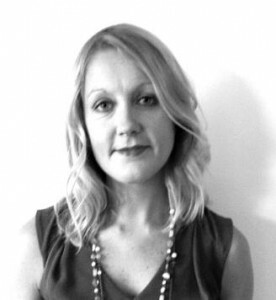 Previously, Cora was the Business Development Manager for Q Chip, a Cardiff-based drug delivery company. Q Chip was acquired by Midatech Pharma in 2014. She joined the AstraZeneca (AZ) subsidiary company Arrow Therapeutics in 2007, leading the infectious diseases partnering at Arrow and a member of the AZ Strategic Planning and Business Development team. Cora obtained her PhD in Virology at the College of Medicine, Cardiff University and held a postdoctoral position at University College London. 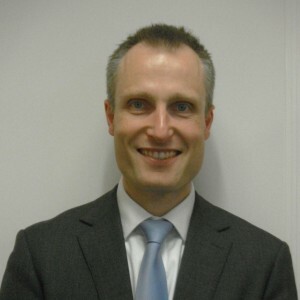 Dr Toby Richardson is an Associate Director, Business Development in the technology transfer office of the Institute of Cancer Research and Royal Marsden NHS Foundation Trust.... These organisations are rated in the top four centres for cancer research and treatment worldwide. The ICR’s academic performance also ranks it as the top higher education institute in the UK. He has worked in the business development team for ten years, leading all aspects of projects including the review, protection and exploitation of intellectual property generated by many different research teams. This has required the negotiation of numerous agreements with other academic organisations, charity funders, pharmaceutical and biotechnology companies in many different territories. These have typically been to enable major drug discovery and development collaborations. Toby has also worked on secondment within AstraZeneca’s oncology strategic partnering and business development team. As well as a PhD in oncology Toby holds a first class double honours degree in biochemistry and chemistry. Campbell has served on the PLG Board since 2004 and was Chairman from 2010 until February 2016. He worked in the pharmaceutical industry for 35... years, the last 25 of which were at AstraZeneca where he held several senior business development positions. Campbell has experience of all aspects of business development but his main focus has been on transactions where he has completed over 50 deals. 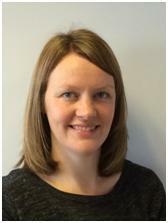 Campbell has a BSc in pharmacology from Edinburgh University and a PhD in cardiovascular pharmacology from the University of Wales. He was formerly with Beecham Pharmaceuticals (now GSK) before joining ICI Pharmaceuticals (now AstraZeneca) in 1989. He took up his first business development role in 1996. 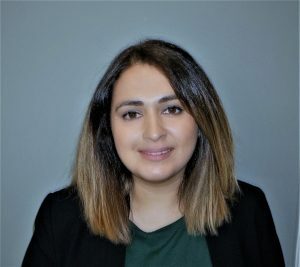 Umaima is an Associate Transaction Director in the Business Development Operations function at AstraZeneca, focused on transaction negotiation and execution across multiple therapy areas including Oncology. Prior to joining Business Development, Umaima practised as a solicitor. She worked in the legal field for 9 years, primarily as in-house legal counsel within the banking and finance sector including most recently at Citibank and, subsequently, within life sciences at Abcam. Umaima holds an LLB (Hons) in Law with European Legal Studies from King’s College London and an MPhil in Bioscience Enterprise from the University of Cambridge.